Learn Driving The Easy Way!. More than 30 years of teaching experience. Uses a Same car and Same instructor every lesson! No extra cost. Powerful Teaching System which is structured and systematic. 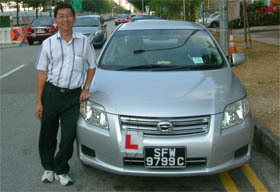 © Passdriving.com.sg, 2009. All Rights Reserved.